The Benefits and Features of using the WonderTop for food preparation. WonderTop is a Sanitary Stainless WorkTop. Sides contain all messes, whether Vegetables, Flour, Red meat or Chicken, and Fluids. Use it in your kitchen, or outdoors in your outdoor kitchen, campsite, or on the dock after fishing. A commercial-grade, sanitary, stainless workstation. 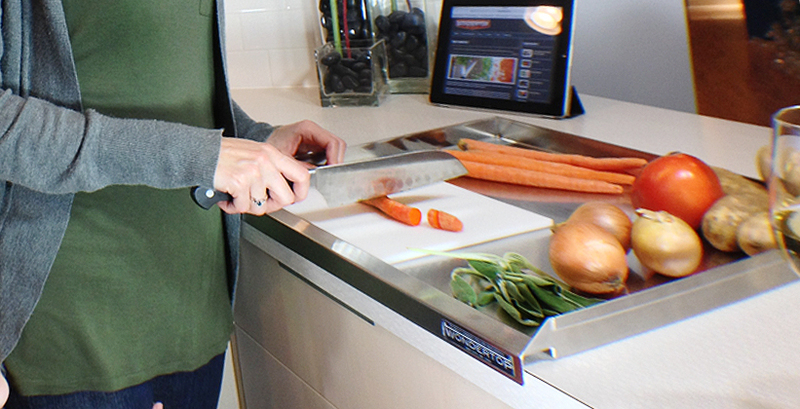 The WonderTop is your go to multi-purpose food preparation station. It's a stainless steel counter you can move! Whether in the Kitchen, Backyard, at Camp, or Dockside, Easy to clean, portable and always sanitary. Composed of 201 commercial-grade stainless steel and manufactured in the U.S., the WonderTop is a reflection of quality and craftsmanship. With its exclusive top containment design paired with a spacious and tested 17" x 21" work surface; large, messy and grueling tasks are now a thing of the past!